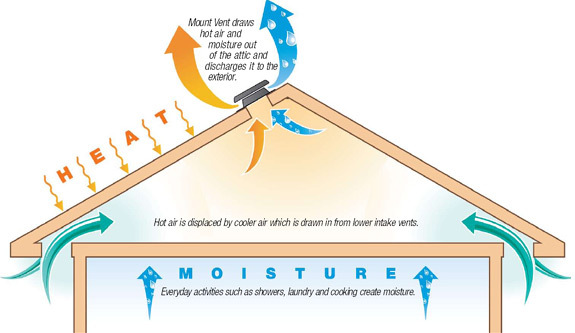 Proper attic ventilation is an important element of a home’s design and construction. Without effective ventilation, excess heat and humidity can cause serious problems with costly consequences. During the wet Vancouver winter it helps prevent moisture build-up – which in turn helps prevent damage due to wood rot, mold, mildew, and poor indoor air quality. Helps prevent moisture build up. Helps prevent premature roof shingle deterioration. Making a decision about a company to handle your ventilation needs is difficult. Why not trust the company your neighbours have been trusting for home ventilation since 1986?